Last evening, three men were spotted at the street corner adjacent to the Pai Chee school with long poles attempting to capture an animal from a tree. The animal they were attempting to capture was a slow loris. The slow loris is a small, slow moving primate that is nocturnal and arboreal. The slow lorises range from Borneo and Philippines in SE Asia through Bangledesh, Thailand, and Vietnam. When asked, the men answered that the slow loris was to be sold to a buyer for medicinal purposes. According to this article, slow lorises are often sold as pets or for medicinal purposes in Chinese and Malay cultures. The slow loris is a totally protected species under the Protection of Wildlife Act 1972, which means that it is illegal to handle these animals in any way. The slow loris was housed in a small cage, and was clearly agitated and scared. The three men drew the attention of various people driving by in cars and motorbikes. However, nobody objected to the capture of the animal. It's a shame that such an animal could be removed from public property without prompting any action on the part of the community. Wake up people. The slow loris belongs to Malaysia, not individuals. If we don't start protecting our heritage, who will? 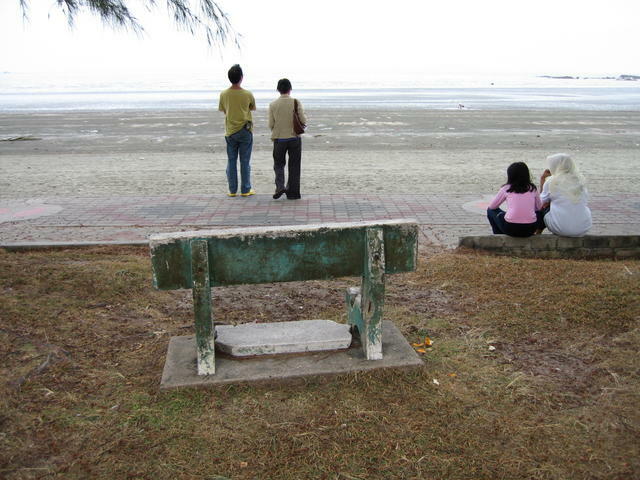 The boardwalk stretches along the shore facing the South China Sea. The best time to go is during the evening, when you'll meet lots of families taking a walk after dinner. Areas around Mersing have very low light pollution, which is perfect for studying the heavens. Since Mersing is near the Equator, you have a clear view of both the Northern and Southern hemispheres, and thus be able see the Big Dipper and the Southern Cross at the same time. The Milky Way is especially beautiful to view here. Places like Teluk Godek, Teluk Sari and Tanjung Resang are within half an hour's drive from Mersing, and are excellent observation points for astronomy buffs. You can enjoy dinner in Mersing, stock up on necessities and then enjoy a whole night of stargazing. From early evening to late night, people come in droves to fish at the jetty. You could watch them, or you could also join them! Rambutan season has now began! Rambutan is a tropical fruit that is reddish and covered with fleshy pliable spines. 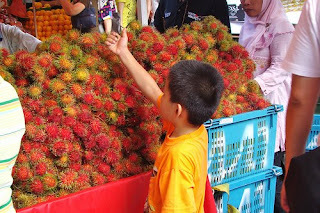 Rambutan is derived from the Malay word rambut, which means hairs. 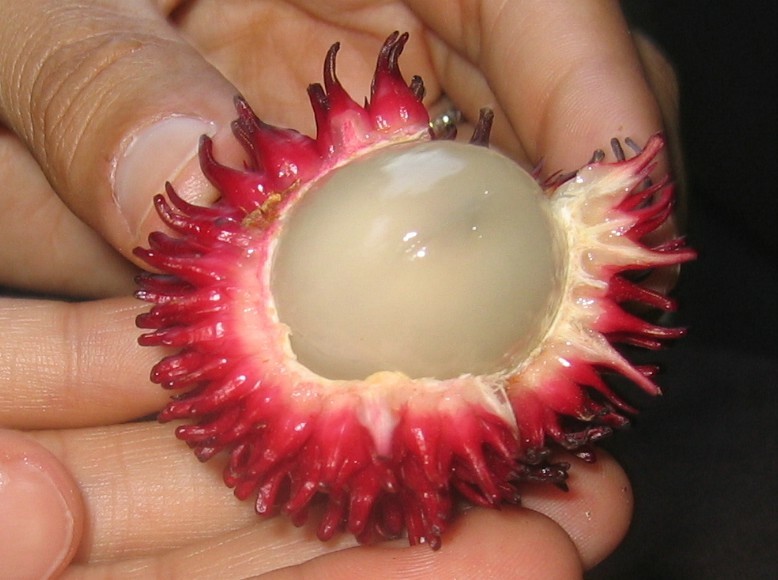 One the skin is peeled off, the fruit is translucent, whitish in colour, with a sweet, mildly acidic flavour similar to lychee. Photo courtesy of huan of www.quoz.com. Thanks! Word on the street is that lots of new buildings are popping up across the bridge in Mersing town. A new hotel is being built close to Hotel Timotel. Also a couple of shophouses on the right side of the street (coming out of town) are being constructed.